Japan urges stockpiling of toilet paper. When stockpiling supplies for a potential disaster the first things that jump to mind are: food and water. In earthquake-prone Japan, however, authorities want to make sure the list doesn’t stop there and on Monday the government launched a public awareness campaign to make sure people also remembered to stock up on another oft forgotten item—toilet paper. While the need for toilet paper, disaster or not, is perhaps obvious, during a potential earthquake in Japan, TP can become a particularly scarce strategic resource as “nearly half of the supply comes from one of Japan’s most earthquake-prone areas,” according to the Associated Press. 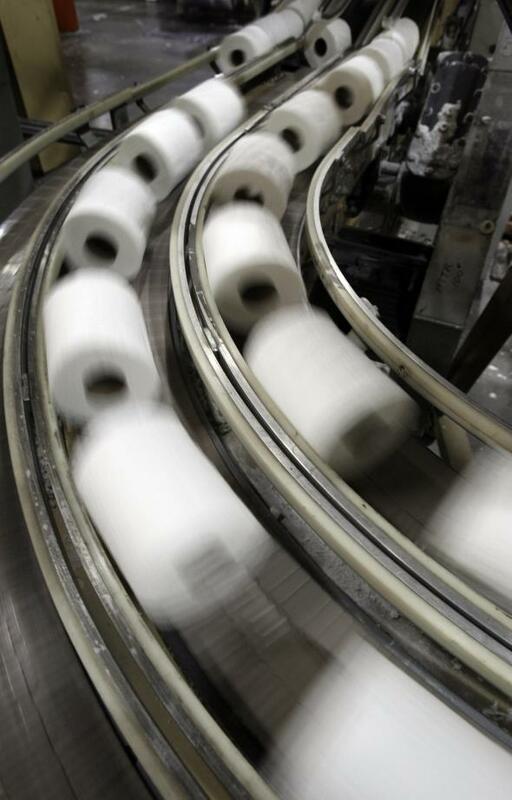 “After running out of toilet paper, people start using tissue, and that could clog up precious workable toilets,” Toshiyuki Hashimoto, an industry ministry official in charge of paper products, told the AP. As part of the campaign, makers are offering a tightly rolled, 150-meter- (490-foot-) long, single-layer toilet paper that lasts more than twice as long as a regular roll. A family of four should be able to survive for a month on a six-roll pack, priced at 460 yen ($4.40) and with a five-year expiration date, said Satoshi Kurosaki, chairman of the Japan Household Paper Industry Association. Government and industry officials said 41 percent of the country’s toilet paper supply comes from Shizuoka prefecture in central Japan, where experts say there is a higher than 80 percent chance of a major offshore quake in the next 30 years. Officials warned of a nationwide toilet paper shortage for about a month in such a disaster, based on lessons learned from the deadly March 2011 earthquake and tsunami in northern Japan.